Natural size, in SOMSO-Plast®. 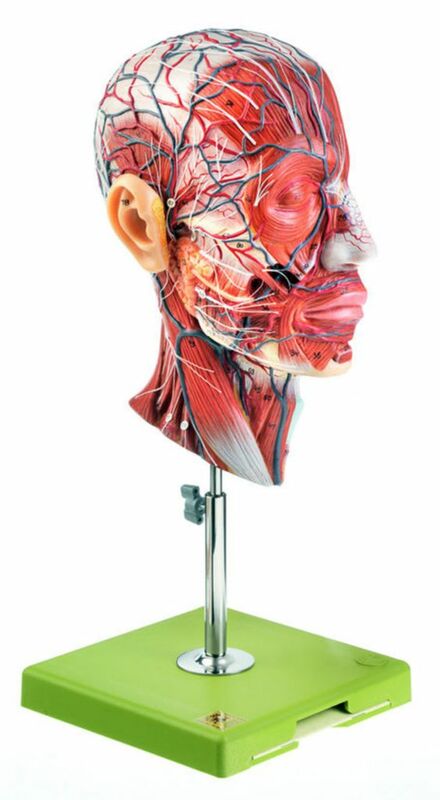 The model shows the mimic muscular system of the right half of the head with the main superficial arteries, veins and nerves including the area of the neck. The median section shows brain, nose, mouth and pharynx, larynx and vertebral column of the neck. In one piece. On a stand with green base.